AWS, through TechSoup Global, makes a grant of $2,000 in AWS Promotional Credits to eligible nonprofit organizations. Organizations can now apply these service credits toward usage fees for all AWS on-demand cloud services, as available by region for 12 months. AWS credits are not valid for Reserved Instances (RIs), Mechanical Turk, Route53 domain purchases, or support launch fees. They are valid for monthly support fees. Customers can request these service credits here. 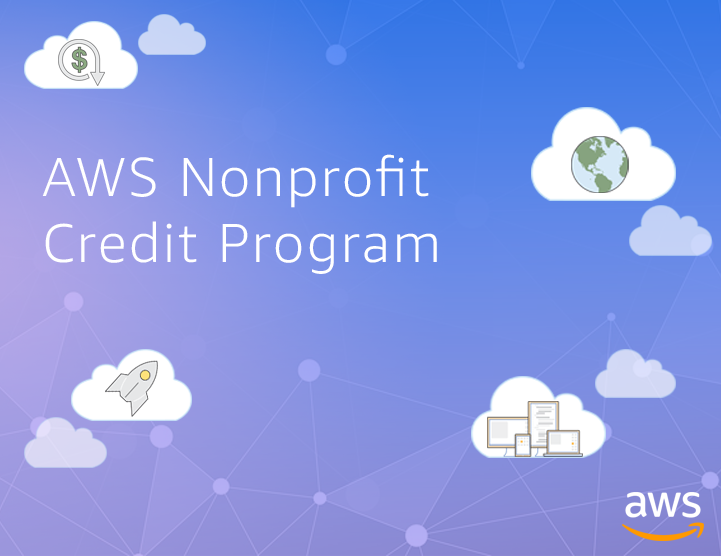 In addition to the U.S., the AWS Nonprofit Credit Program with TechSoup is now available in the following countries: Australia, Austria, Belgium, Brazil, Chile, Canada, China, Colombia, Czech Republic, France, Germany, Italy, Mexico, Netherlands, Switzerland, United Kingdom, Spain, Hungary, Japan, Iceland, Greece, Portugal, Costa Rica, Peru, Argentina, Ecuador, Bolivia, Paraguay, Uruguay, Bahrain, Kuwait, Qatar, Singapore, Thailand, Indonesia, Vietnam, Malaysia, Sweden, Denmark, Finland, and Norway. The program will be rolled out in more countries in the near future, so check back for more updates. From issue advocacy to charitable causes, from health and welfare to wildlife, tens of thousands of nonprofit organizations are already using AWS to radically reduce infrastructure costs, build their capacity, and reduce waste. With AWS, nonprofits don’t have to make large upfront investments in hardware and spend time and effort managing that hardware. Getting started on AWS is simple. Learn more by watching our featured video and sign up to get started today!